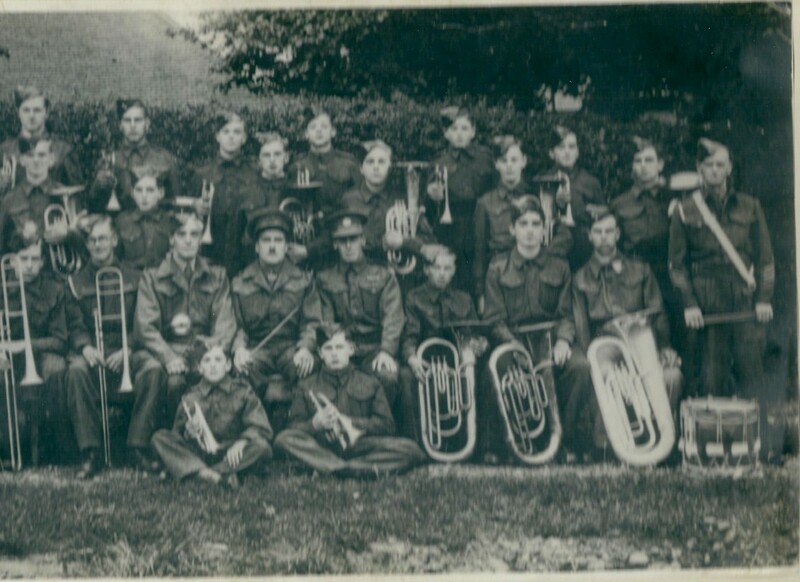 Peter Freeman was a member of the cadet band where he was taught to play the cornet. The band was started by Arthur Alden who ran the undertakers at Tarpots. Several of the band members played with other groups, Stan Wheeler turned professional and later played at the Shakspeare Theatre in Stratford on Avon. Peter Wright played in a jazz band but this was not approved of and he was asked to leave the Salvation Army band. Peter Freeman played with several bands, one of which played at Tarpots Hall providing the music for dances, he later turned semi professional. 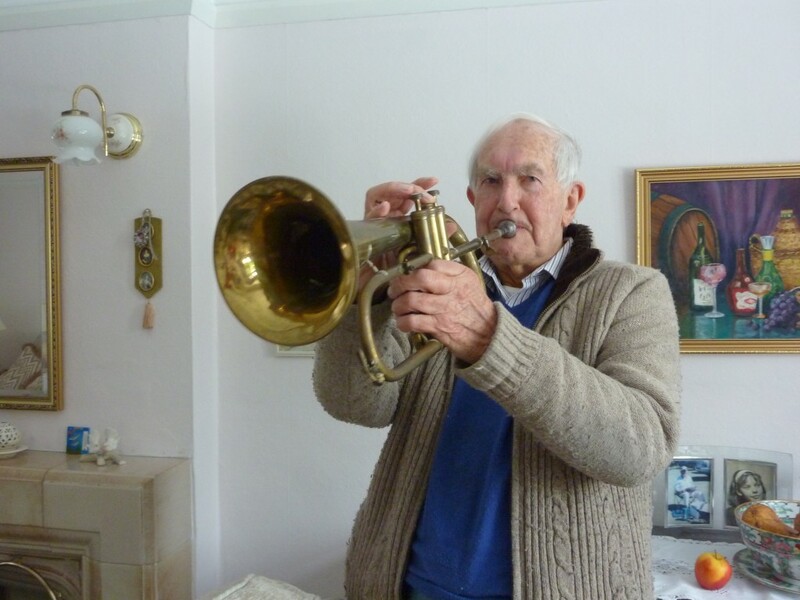 Peter Freeman in 2013 with his German flugelhorn. 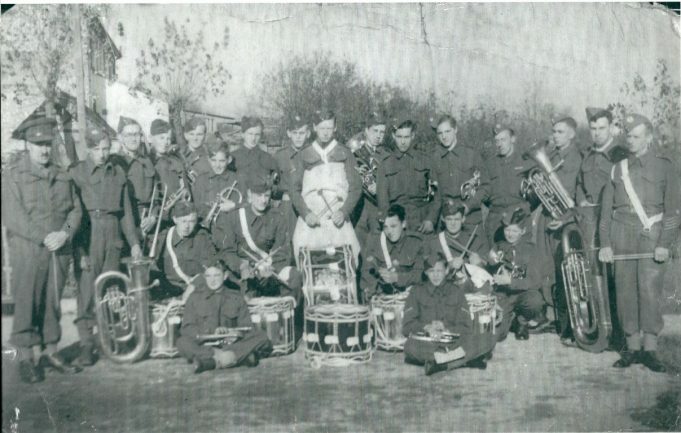 How the band was started, the types of instruments he played, and how this led to becoming a member of various bands that sometimes played for dances at Tarpots Hall. Manoeuvres on Boyce Hill Golf Club, ack ack battery on the Golf Club grounds. Hi Peter, I wonder if you can remember me Keith Rowe, I bought your first motor bike a James 197 two stroke, black and cream petrol tank also you played trumpet at Benfleet youth dances around 1945 I was also in that army cadets. I live in South Africa for the past 53 years, I would like to hear from you.